Das Treppenhaus an der Weststrasse wurde in rohem Zustand belassen und dadurch ein Budget für einen Kunsteingriff freigespielt. Überlegungen zu Ressourcen und Aufwand die heutzutage in Architektur-Oberflächen investiert werden und der Versuch Bilder zu finden sind Grundlagen dieser Arbeit. Mittels gesprayter Punkte wurden Unregelmässigkeiten auf den Wandflächen markiert. 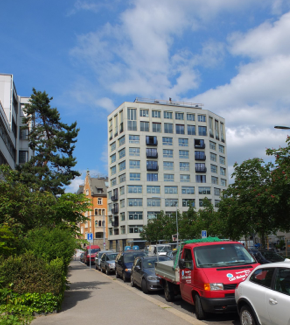 Dazu wird ein Betongrau (Gambetta BLK 7110) verwendet um gleichzeitig zu versuchen die Fehler zu eliminieren. 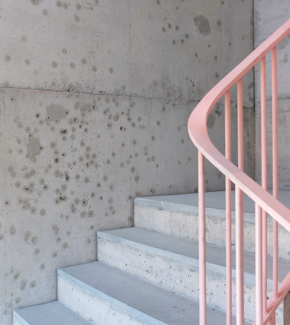 The staircase at the West Street 20 in Zurich was left in a raw state, thereby a budget for an art intervention became available. Thoughts of resources and expenses that are nowadays invested in architectural surfaces and the attempt to find pictures are foundations of this work. 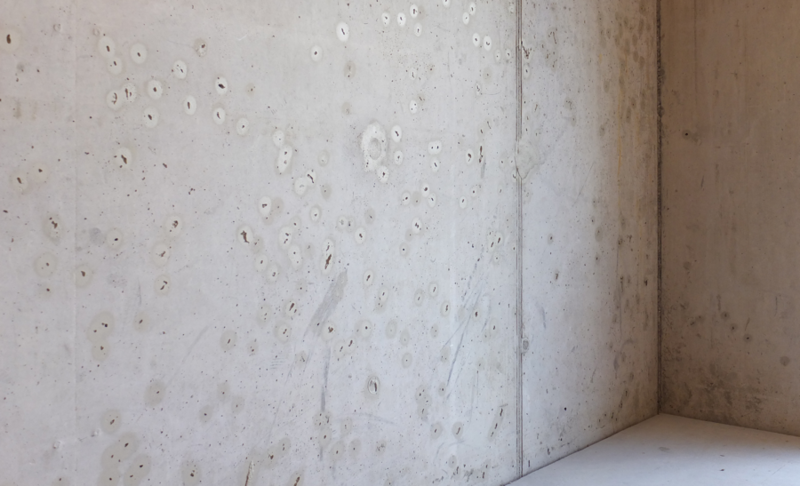 Means spray -painted dots were irregularities and errors on the walls concrete grey highlighted, cleaned and at the same time visually eliminated. 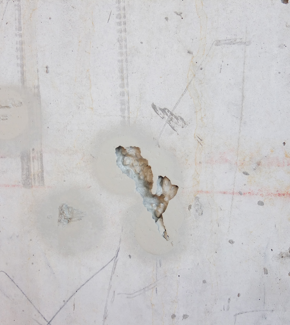 The result of this process-oriented surface analysis can be read as an attempt to repair the concrete (concrete cosmetics) or discussed as painting or conceptual graffiti.